British war graves in Mosul have been found destroyed six months after the city was liberated from ISIS fanatics by Iraqi security forces. Iraqi forces defeated ISIS in the city in July 2017 after months of intense urban battles that left much of its buildings little more than ruins. Pounded by constant shell fire from the jihadists and air strikes from the international coalition trying to free them, most of Mosul’s residents fled during the battle. 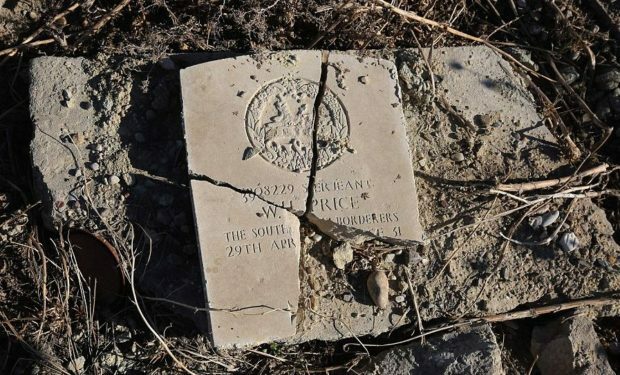 Meanwhile Mosul War Cemetery, which is about a mile west of the now-ruined Old City and contains hundreds of burials from the First and Second World Wars, was desecrated by jihadists.